Geologists from the School of Natural Sciences at NUI Galway have discovered large networks of underground rivers hidden under the seabed of Galway Bay. The significant discovery was made by the researchers following conversations with residents from Inishmaan on the Aran Islands, who said their well of fresh water never ran out, when typically islands experience water shortages, and from fishermen who refer to freshwater risings along the south coast of Galway Bay. NUI Galway’s Earth and Ocean Sciences researchers concluded the water was likely to be flowing for several miles before emerging as ‘freshwater rivers’ out of the sea bed of Galway Bay. This water flow is caused by rain falling on the land, it runs through the limestone and then goes out under the sea. Research carried out by the NUI Galway Geologists identified that the ‘freshwater rivers’ are formed by water dissolving the limestone that underlies southern Galway and north Clare. 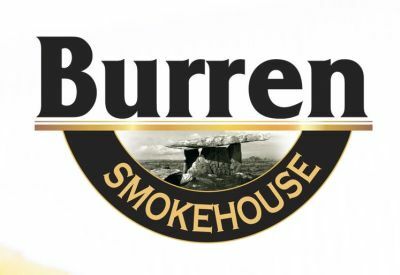 This karstification process slowly created not only the distinctive topography of the Burren, but the conduits reaching out under Galway Bay and the Aran Islands, which could be up to 30 miles long. Wells intersecting these conduits produce more water than falls on the island as rain indicating that the water is sourced from the mainland. The pure bedded limestones that form the islands are found throughout north Clare and south and east Galway. These rocks are particularly susceptible to dissolution by rainfall (and time) forming the distinctive drainage patterns of turloughs, swallow holes, sink holes and sinking rivers. Almost all of the freshwater in these areas flows in discrete zones within the rock discharging in springs found at the coast and in the bays and sea. The means by which these passages and conduits form is well known and well understood, but where they form, and the shapes they take are less easy to predict. Never runs out! Mmmmmm. Might be a reason to put in a pump and serve the whole island with water then. 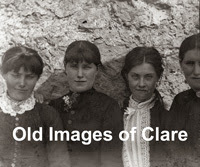 Enter your email address to follow The Clare Herald and receive notifications of new stories by email.